With high-speed, loose tube production, controlling excess fiber length is always a challenge. Water friction and the high cooling rate of the plastic compound creates problems with waste and post shrinkage, limiting line speed and the quality of the final product. 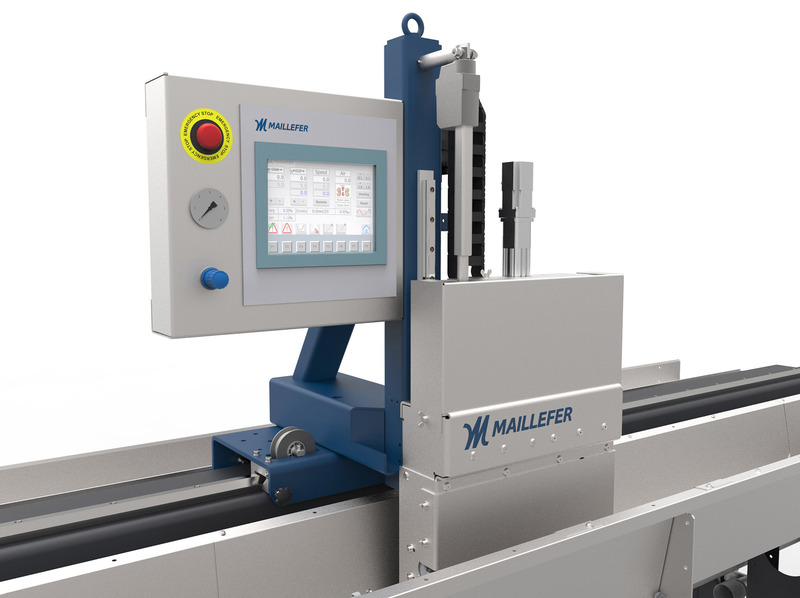 Our compression caterpillar increases your line speed and the final product quality. 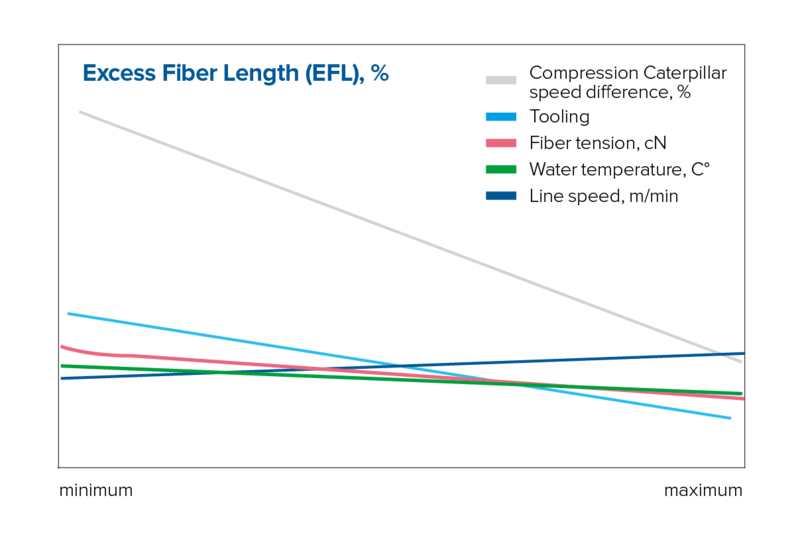 Are you prepared for the increasing demand of fiber optic cable? Compression Caterpillar CCA 1000 can totally change your loose tube line. You can finally control the excess fiber length (EFL), get rid of post shrinkage, inrease your line speed and introduce new products to the market. You can use polypropylene for loose tube and with an additional air blowing system you can also make totally dry loose tubes. Our compression caterpillar CCA 1000 offers good grip for all plastic materials. It is also gentle with delicate loose tubes. There are many proven cases where the output and new tube material selections have been improved. Line speeds have been increased from 200 m/min to 350 m/min and a 75% increase where polypropylene has been introduced as new material. By pre-shrinking the loose tube while it is hot, you enable accurate control of excess fiber length. You also minimize shrinkage at high production speeds.